Hey, are looking some awesome portfolio WordPress themes for your upcoming brand new portfolio website? No matter what you do and what you want to show on your website. You can show anything or any type of your work on your portfolio page. 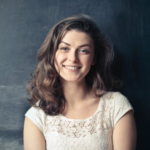 I think you already know that a portfolio website can be a very valuable asset for your future. If you want to share your creativity all over the world then there is no other chance to except a portfolio website. Using a professional portfolio website your work will be visible to everyone and will get some valuable comments from the professionals. That will help you to improve more. If you are using WordPress then luckily there are thousands of free portfolio WordPress themes for you. And you can easily use them for your brand new website without spending any single amount. To make this job easier I listed here most popular top 20+ Free portfolio WordPress themes for you. Which will help you to choose the best one for your new website. 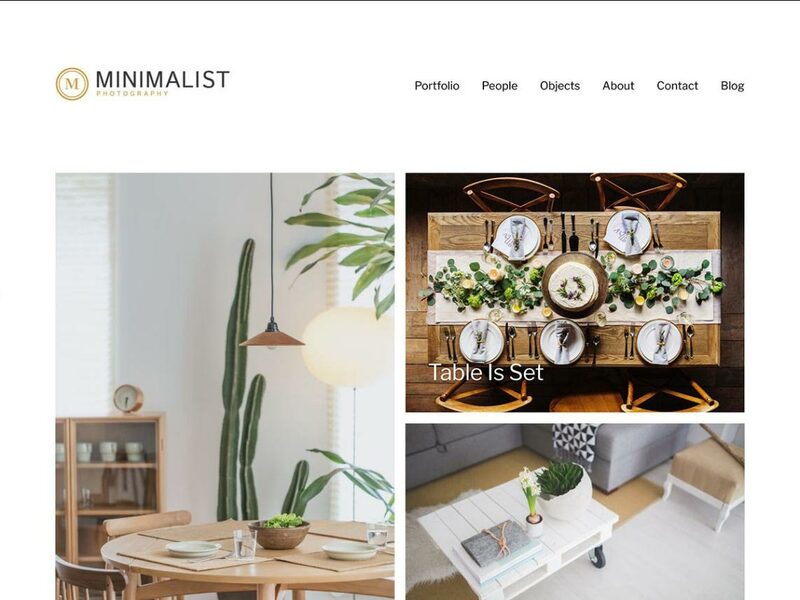 Say hello to Minimal Portfolio, an amazing WordPress theme with elegant appearance. 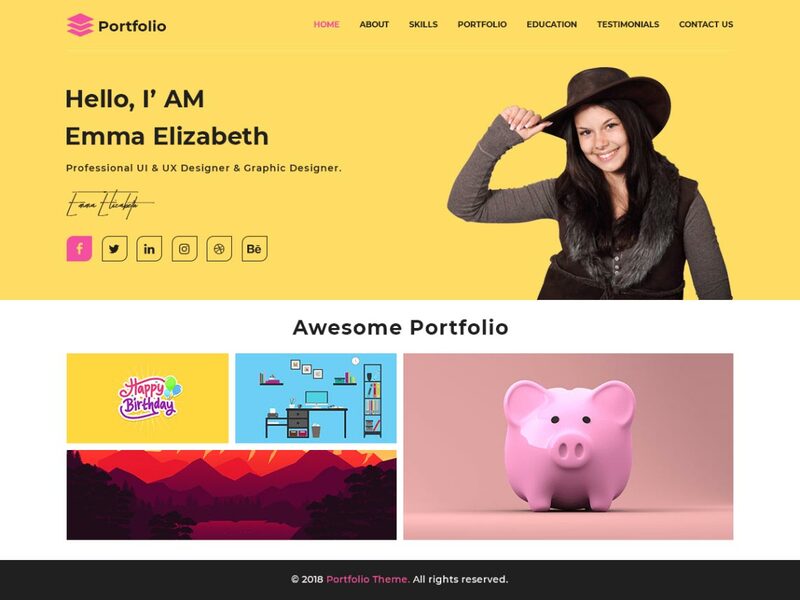 For the people who want to have their own portfolio website, this theme can be a great option for them. This theme is good to look at and also it holds a number of amazing features. If you are a minimal lover like me then this can be your best choice to start your website right now. Let’s have a look at that feature. Advanced typography and admin panel. RT Portfolio is another great option for them who are looking for a good portfolio for themselves. It is clean and very easy to use. That means user-friendly customization features. I am pretty sure that you will enjoy using this theme. Before choosing it, you have to learn about the specialty and important features of this theme. You can check more details click on this link. Amazing typography with tons of options. 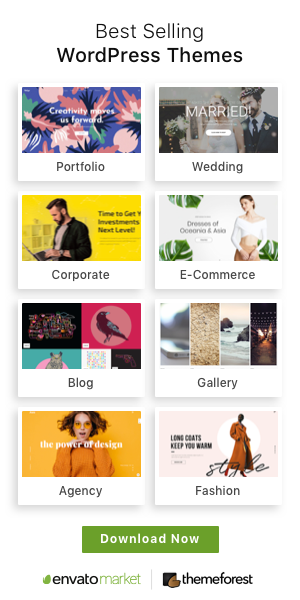 Meet Advanced Portfolio, another great WordPress theme that is fully free to use and lightweight. It is often considered as one of the best free WordPress themes for portfolios. 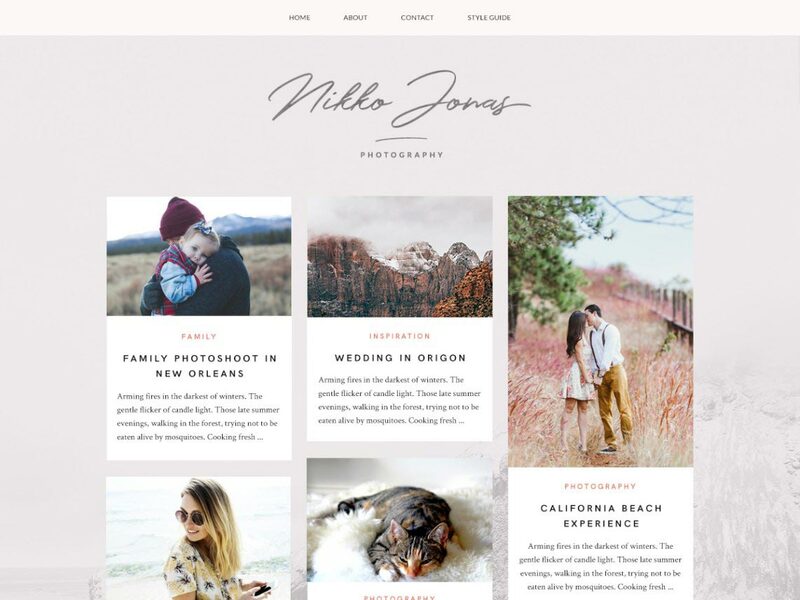 This modern and stylish WordPress theme will let you enjoy a handful of amazing features. Let’s have a look at them. Lots of custom features and options. User-friendly and cross browsers compatibility. 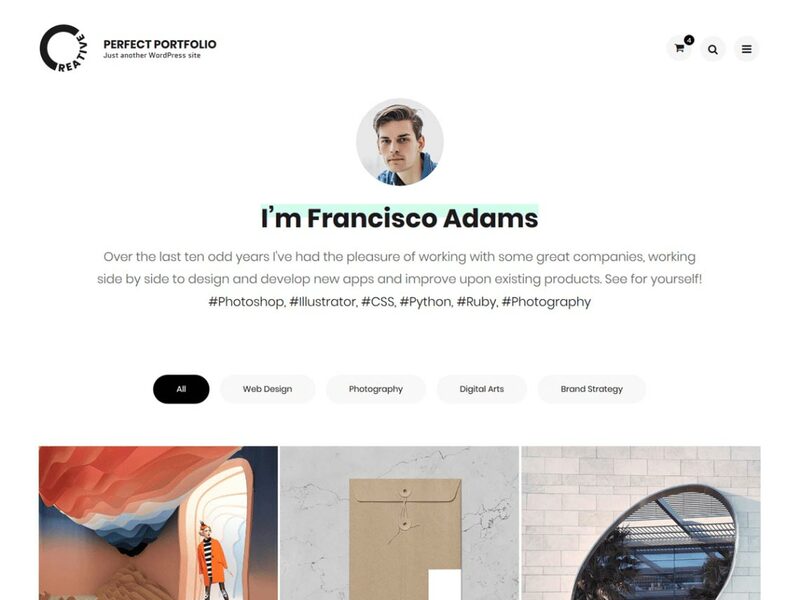 Let’s have a look at Perfect Portfolio, another great WordPress theme for the portfolio creators. It is clean and lightweight themes. 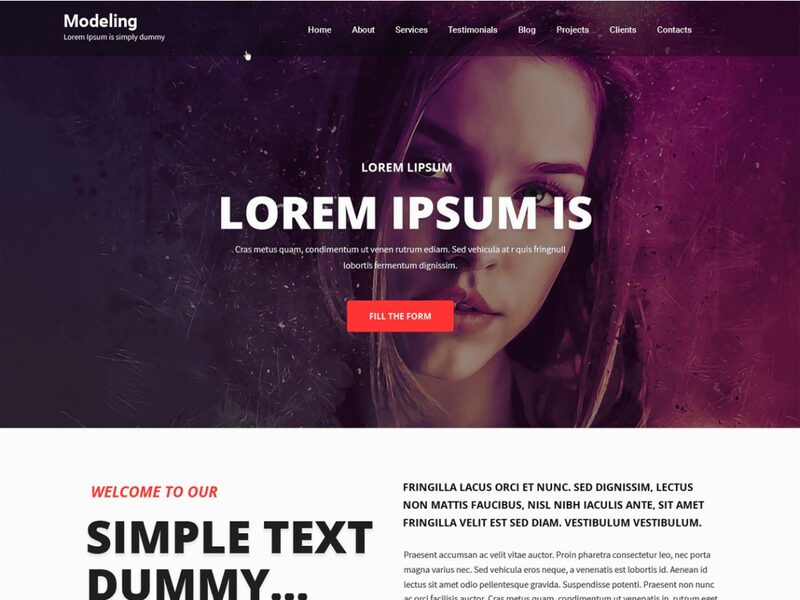 This responsive theme has a bundle of stunning features that will, of course, let you enjoy using this theme greatly. However, let’s check out the important features of this theme. Nikko Portfolio comes with a combination of dynamic features and an amusing appearance. 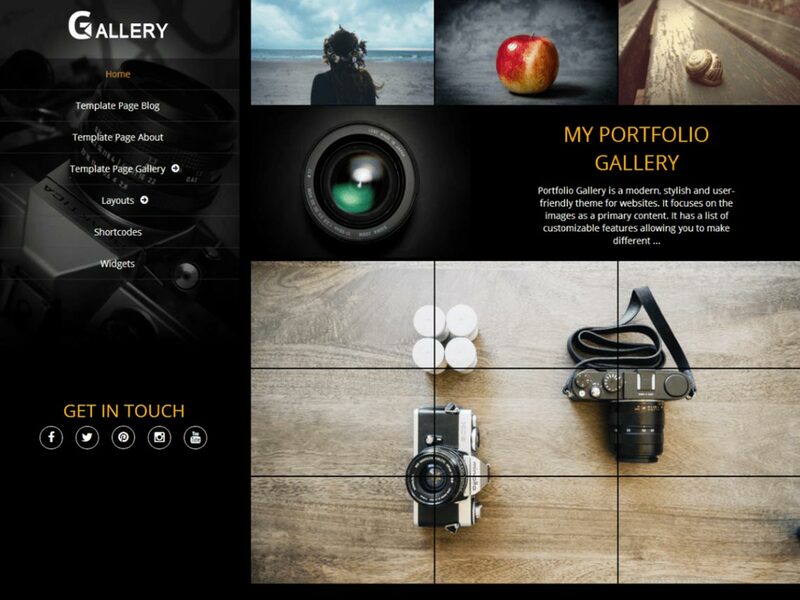 This theme is specially developed for people who want to have their own portfolio theme. So, if you are interested in this theme, first, you have to have a glance at the special features of it. Entirely responsive and retina ready. Free and easy to use and customize. 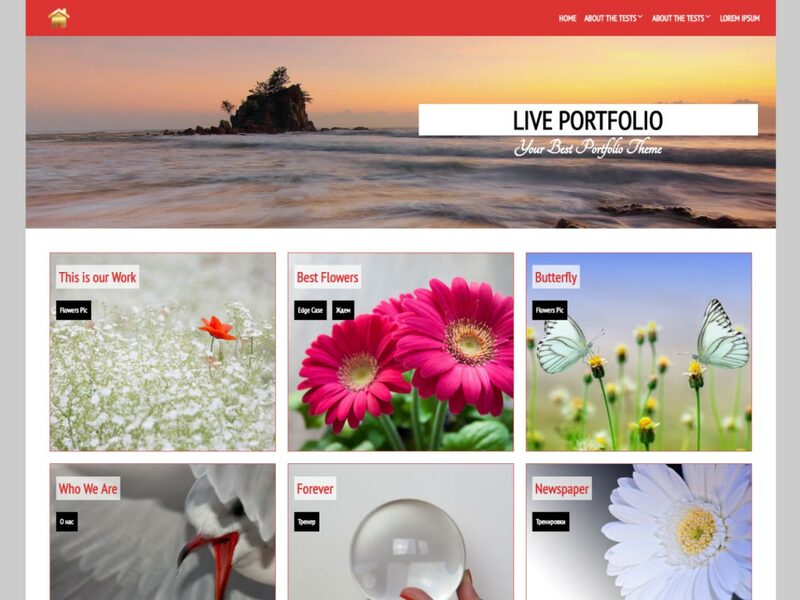 Live portfolio is an excellent WordPress theme for the portfolios. It is clean and very easy to use. You can enjoy a lot of stunning features if you start using this amazing theme. So, I think its high time to check out the features of it. Yes, it is really a very clean and minimal WordPress theme for portfolio creators. Clean Portfolio is very easy to use and handle. It has a handful of amazing features and special functions. It is very pleasant to look at too. So, let’s check out the features of this great theme. Provides sticky post and theme options. Includes all social sharing options. 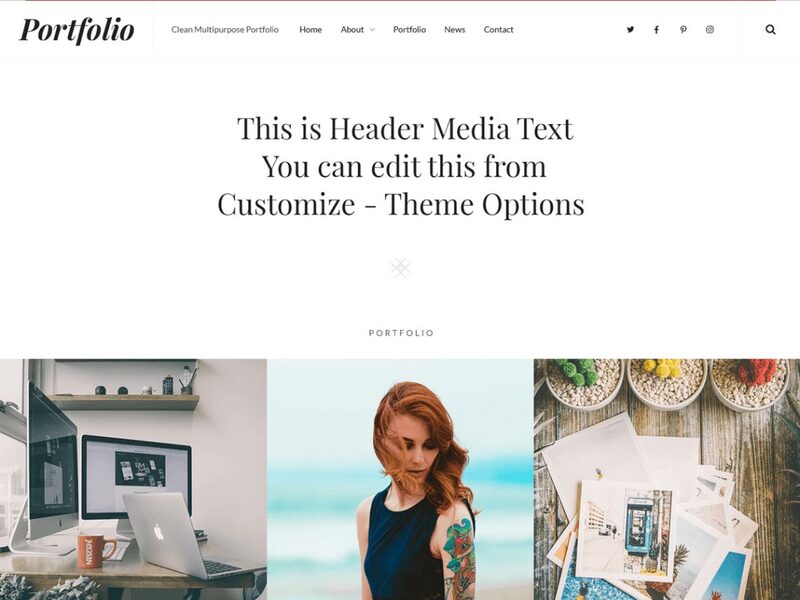 Portfolioo is a perfect WordPress theme for portfolio creators, artists, painters, personal bloggers, and photographers. It is a clean and minimal WordPress theme with a set of essential features. Let’s have a glimpse of those features. Built with CSS3 and HTML code. Say hello to Minimalist Portfolio, another great WordPress theme for portfolios. Besides, you can use it to showcase your creativity on other facts. It is a very clean and minimal WordPress theme with an elegant look. Provides custom menu and logo. 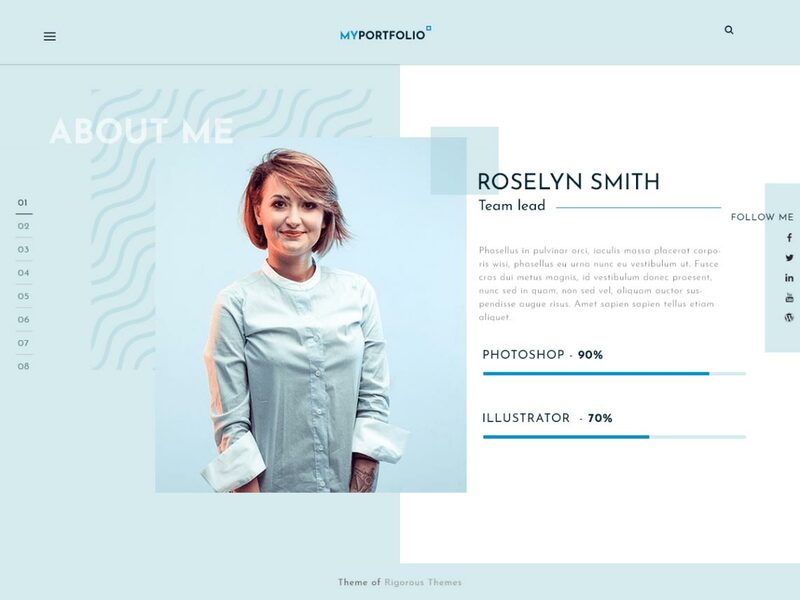 Let’s meet Ayaportfolio, a decent and modern WordPress theme for portfolio creators as well as for other uses. 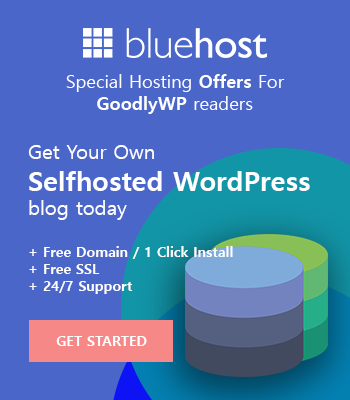 It is, in fact, a great WordPress theme with a combination of amazing features and elegant appearance. This theme clean and very easy to use and customize. Let’s meet the features of it. Provides Multi-Level Drop-Down Header Menu. Entirely responsive and retina support. X Portfolio has packed with essential features and eccentric appearance. 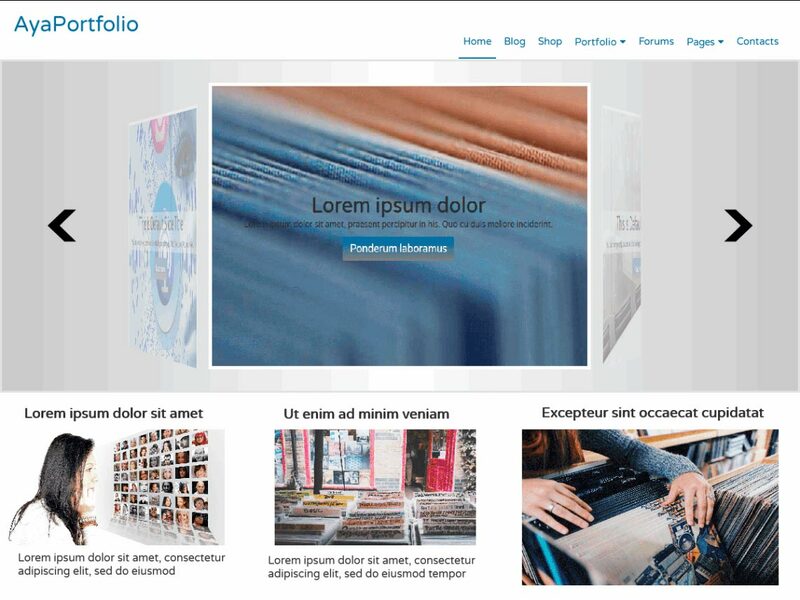 It is, in fact, a WordPress theme that is specifically designed for the portfolio creators. 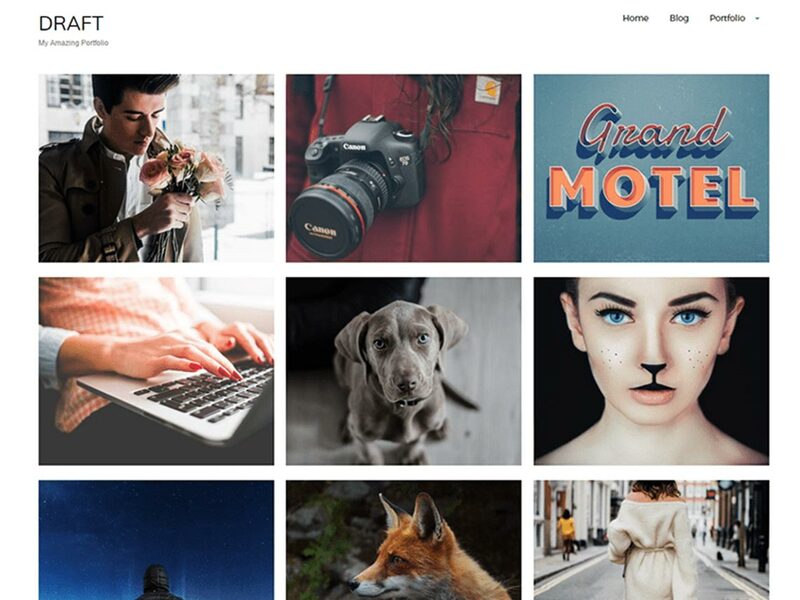 Even people who want to showcase their creativity can use this theme. Let’s check out the important features of this theme. Amazing typography and admin panel. Very easy to use and customize. Another great portfolio WordPress theme, Draft Portfolio. It is an elegant WordPress theme with a handful of amazing features. The theme is great to look at and it is very easy to use and customize. Do you want to have a look at the features of this theme? Let’s check it out. Includes all popular social media. 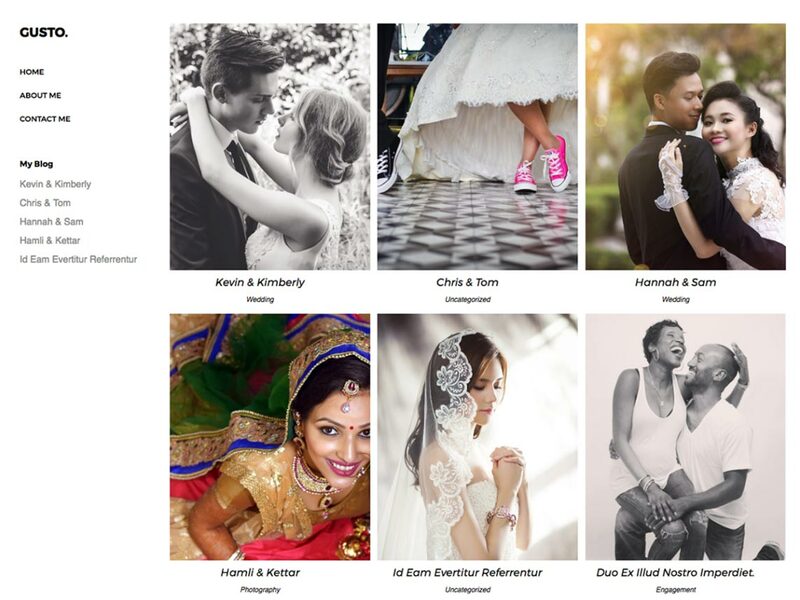 Meet the Portfolio Gallery, another great option for you. It is a dynamic WordPress theme that is often considered as one of the best free WordPress themes for portfolios. It is great to look at as well as to use. Let’s check out the specialties of this theme. All social sharing buttons are visible. 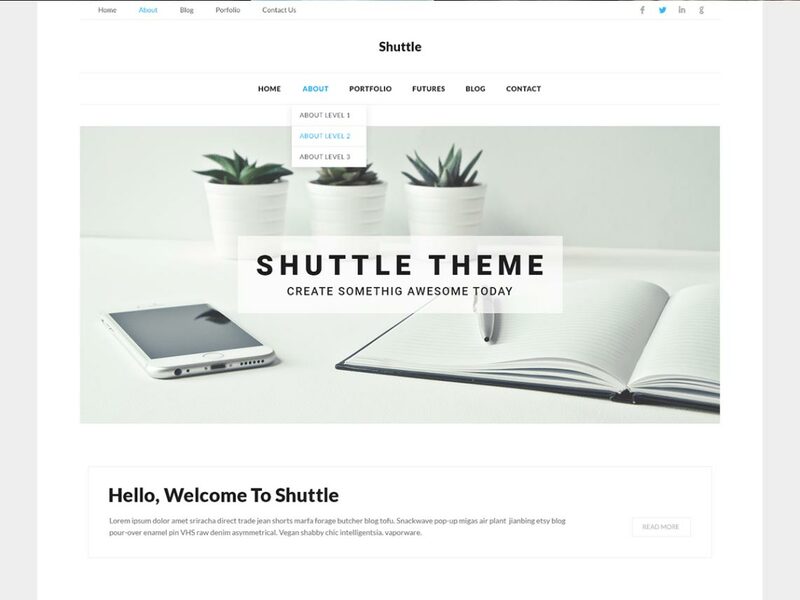 Say hello to Shuttle Corporate, a great WordPress theme for portfolios and also for the creative bloggers, artists, painters and so on. This theme is very easy to use and customize. It is again mobile phone optimized with the retina support. Let’s see what the great features it will offer. Built with visual composer page builders. Compatible with eCommerce plugins like WooCommerce a JigoShop. 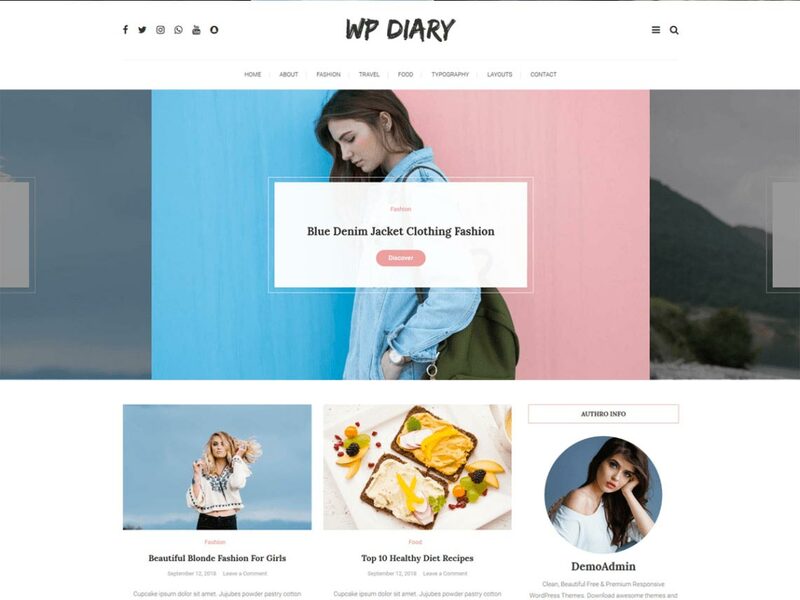 WP Diary is an amusing WordPress theme that will always let you showcase your creativity and portfolios. This theme is packed with a handful of amazing features and elegant appearance. You will get it very easy to use this theme too. Let’s have look on the features of this theme. 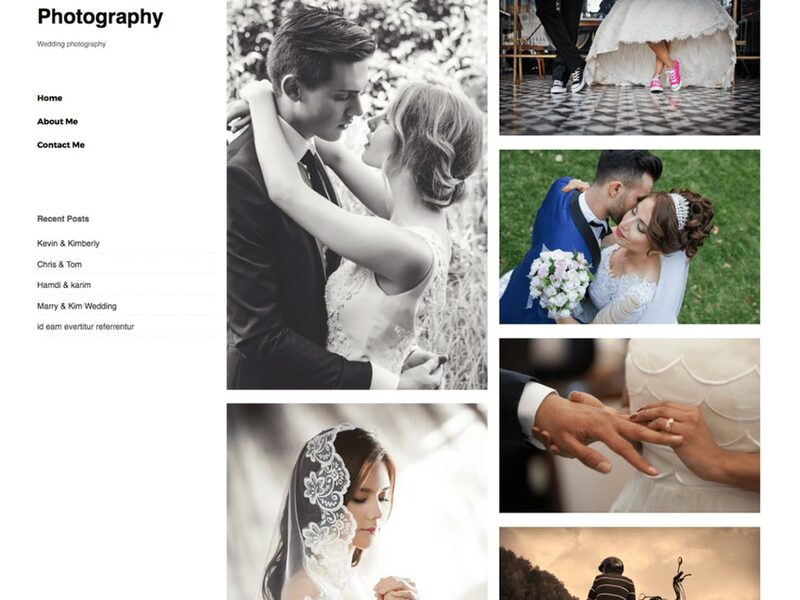 Gusto Photography is not a WordPress theme that is only used as a display of your photography but also for portfolios. This theme is clean, minimal and lightweight. The theme, I hope, will make you happy with its awesome features. Let’s check them out. 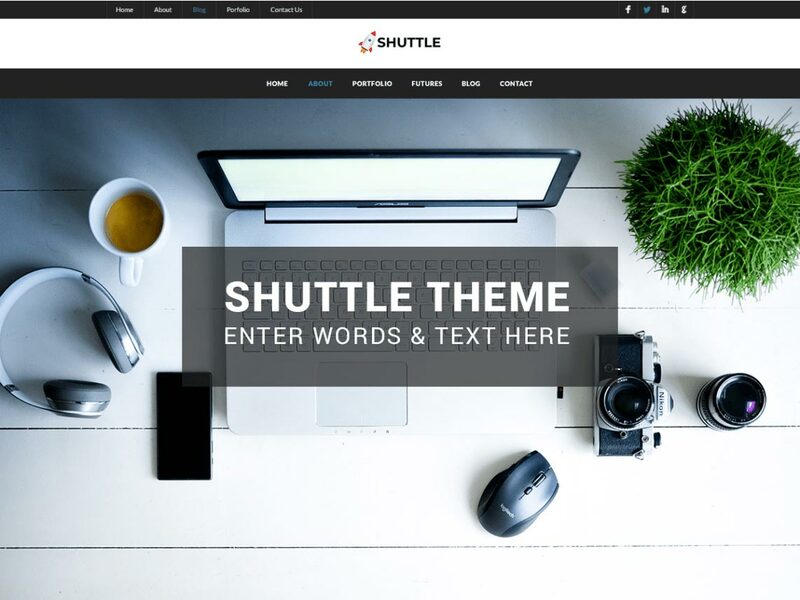 Shuttle Dark is also a great WordPress theme for portfolios and also many other factors. This theme is easy to handle and customize. You can also use this theme with your smartphone as it is fully responsive. It also includes a number of amazing features. All social media icons are available. Fully responsive and easy to use. Let’s meet another outstanding WordPress theme, VW One Page. It is an elegant WordPress theme that holds an amazing combination of lots of features and beautiful looks. This great theme is easy to use and customize. Let’s have a glance at the important features of this theme. Very easy and comforting to use. Includes custom menu and logo. Includes all social sharing buttons. You can use Modeling Lite, a beautiful WordPress theme for a variety of purposes. It is an elegant WordPress with a set of essential features and facilities. This theme is of clean and minimal design and it is very easy to use and access. Then, if you want, you can have a glance at the features of this theme. Offers sticky post and photography. 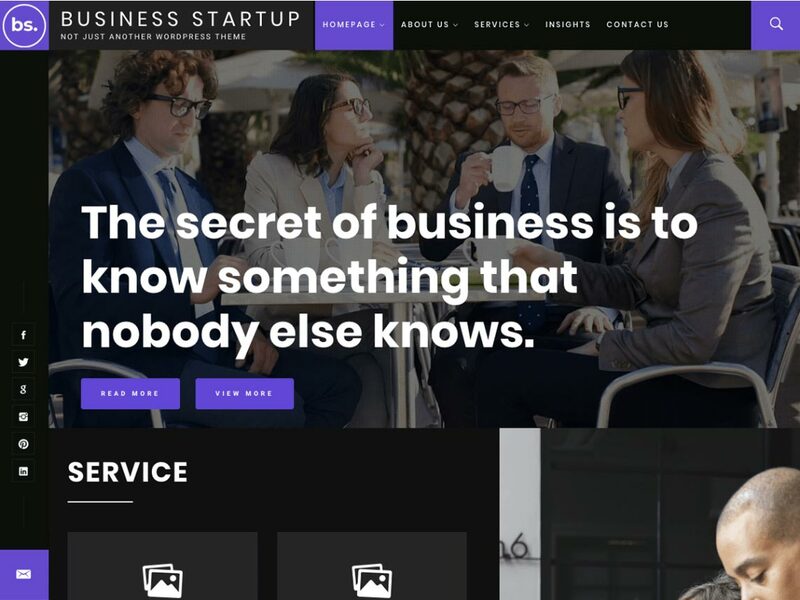 Lastly, I want to introduce you to another excellent WordPress theme, Business Startup. 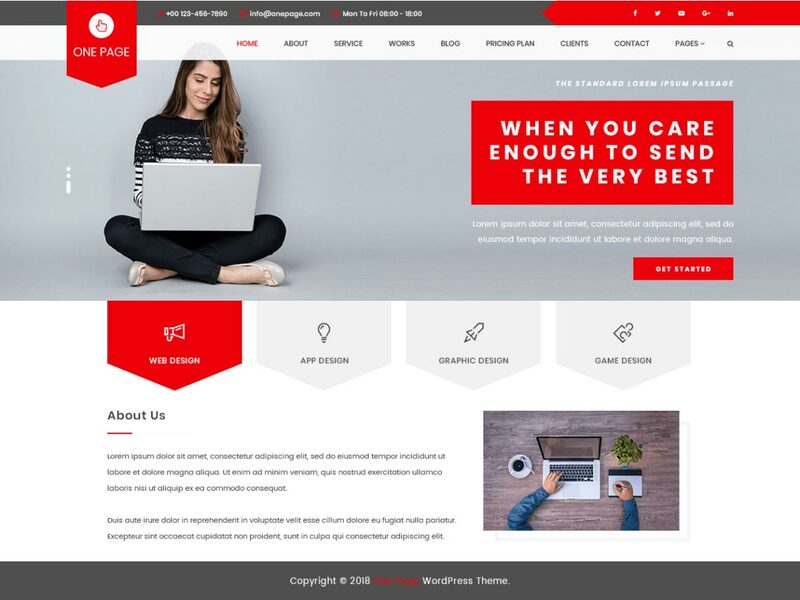 It is really a very beautiful WordPress theme with a set of amazing features and facilities along with a beautiful appearance. Let’s check what it will offer. Video banner with 10+ widgets. Feel to comments below if you have any question or if you want any more information that I can help you with. Also, if you know any better themes that I should insert on this list then don’t forget to notify me.